AMAZON WATCH » Climate Justice Now! Keep It in the Ground! For two weeks in early November, global governments, leaders, and civil society – including Amazon Watch and a delegation of indigenous leaders from the Kichwa community of Sarayaku – gathered in Bonn, Germany for COP 23 (the 23rd session of the Conference of the Parties to the UN Framework Convention on Climate Change, also known as the U.N. Climate Summit). While government officials evaluated and debated implementation of the 2015 Paris Climate Agreement, we joined indigenous and frontline community allies from Sarayaku to Richmond, CA in speaking truth to power about the urgent need to protect the Amazon and our climate by keeping fossil fuels in the ground and promoting real solutions to the climate crisis. Indigenous peoples have effective solutions to climate change, including the protection of the Amazon rainforest, which is vital for climate stability. 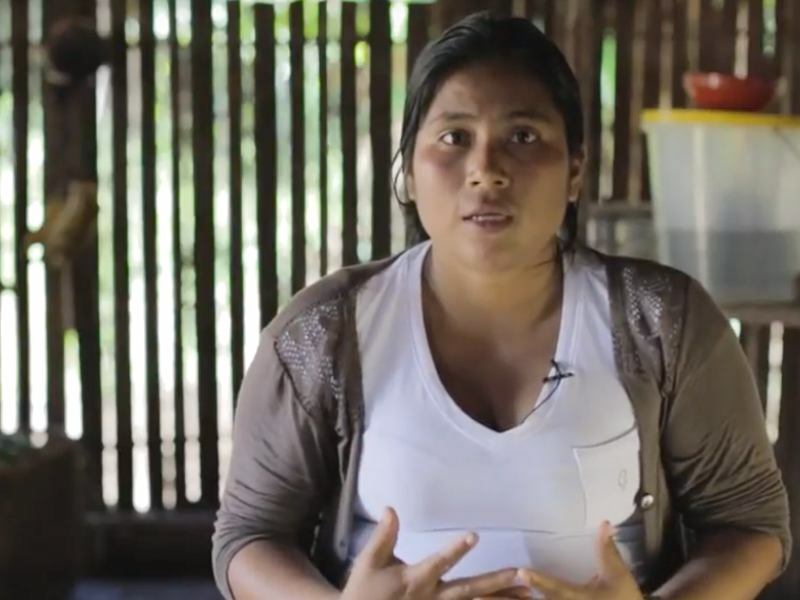 Protecting rights and sacred ancestral territories – including Sarayaku's "Living Forests" – by keeping them free from industrial extraction are the kinds of solutions to climate change that will actually prevent climate chaos. While in Bonn, we amplified indigenous voices and solutions and advanced calls for climate justice by participating in and attending official UN side events, public events and actions with Sarayaku leaders, indigenous, grassroots, and NGO allies from across the Americas and Europe, including the People's Climate Summit, International Rights of Nature Tribunal, WECAN (Women's Earth and Climate Action Network) events, actions with the It Takes Roots delegation, and press conferences with many allies. We participated in so many events that it's hard to even remember them all. One particularly inspiring moment was when Sarayaku leaders described some of the threats they face at the International Rights of Nature Tribunal. Also impactful was participating in a sit-in outside of the United States' only appearance at COP 23, where the Trump administration announced an increase in coal, natural gas, and nuclear power. After the mass walk-out of the event, the U.S. People's Delegation held a press conference and our allies Tom Goldtooth of the Indigenous Environmental Network, Isabella Zizi of Idle No More SF Bay, and Nina Gualinga of Sarayaku all made compelling statements about the need to keep fossil fuels in the ground. And to top it off, Patricia Gualinga of Sarayaku addressed the high-level governmental delegates to the U.N. meeting on behalf of the global climate justice movement. The primary purpose of the COP 23 was was for signatory countries to evaluate country commitments and implementation of the 2015 Paris Climate Agreement. However, even the Paris Agreement does not go far enough to keep global temperatures below 2 degrees celsius. In fact, it sets us up to surpass 2 degrees because it does not reduce or stop extraction of fossil fuels, the leading cause of the greenhouse gas emissions that warm our planet and cause climate change. What we truly need are global commitments to keep fossil fuels in the ground, investments in a just transition to a renewable energy economy, and support for local and indigenous-led solutions that protect the rights of nature, communities and the climate. What we need is Climate Justice Now! At COP21 in Paris, where the Paris Agreement was created, Amazon Watch and hundreds of allies across the Americas presented a Declaration for the Health of Mother Earth to Keep Fossil Fuels in the Ground recognizing that to avoid exacerbating the climate crisis and to return to a healthy relationship with Mother Earth, the vast majority of the world's fossil fuels must remain in the ground. Since then, we have united in resistance against new fossil fuel extraction from Standing Rock to Sarayaku. Yet, only a week before COP 23, the Ecuadorian government announced a new oil round overlapping protected areas and indigenous territories in the Sacred Headwaters of the Amazon, the most biodiverse terrestrial ecosystem on earth. This is the last place fossil fuel extraction should be taking place! How can Ecuador, or any country, meet their climate commitments to reduce emissions if they continue push for extraction? How can California and China be global climate leaders if they are some of the primary consumers and drivers of fossil fuel extraction in the Amazon? It's simple, they can't! That is why we are calling on California and China to End Amazon Crude. 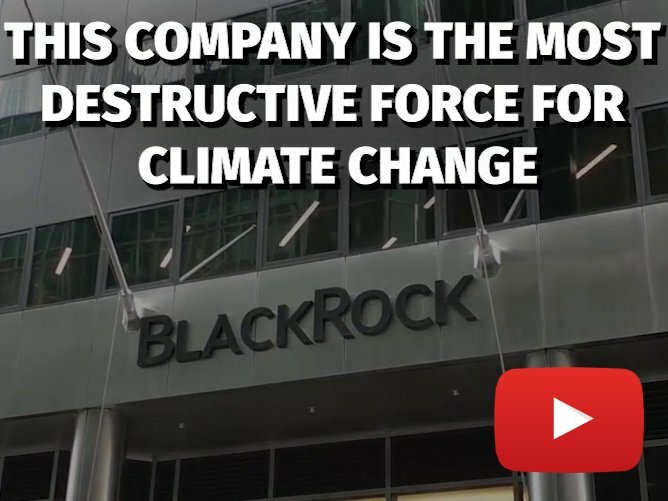 We're also calling on JPMorgan Chase and BlackRock to stop financing Amazon destruction in a new Amazon Watch report, Investing in Amazon Destruction. In response to this lack of concrete climate action, Amazon Watch and over 500 organizations around the world have signed onto the Lofoten Declaration, which calls for "stopping exploration for, and expansion of, new reserves and a managed decline and just transition away from fossil fuel production starting with wealthy countries and states who have the means to act first and fastest." In Bonn, we joined high level officials from Pacific Islands and academics at a COP 23 press conference in support of the Lofoten Declaration to call for an urgent response, by wealthy nations in particular, which have a moral obligation on to address their historic climate debt to the global community. Patricia Gualinga, Kichwa Indigenous woman from Sarayaku, said at the press conference: "For nearly twenty years, our people have been resisting oil development and extraction in our rainforest home in the Ecuadorian Amazon. We have taken our fight all the way to international courts and won. We continue to resist new oil extraction and promote solutions to protect our living forests. We must stand together to keep oil in the ground from the Amazon to the Arctic to protect our climate and our future generations." More statements can be seen in Oil Change International press release or viewed in full here. While there is a long way to go to truly implement and go beyond the Paris Agreement, including addressing the need to keep fossil fuels in the ground, there were a few notable advances that should be recognized, including the adoption of the Local Communities and Indigenous Peoples Platform. The Platform makes recommendations on ways that indigenous knowledge should be incorporated into the Paris Agreement. Additionally, the Gender Action Plan (GAP), which was years in the making, was adopted by the Parties to provide an opening for inclusion of gender equity and gender-sensitive climate policy. Considering that the U.S. federal government has vowed to pull out of the Paris Agreement, it seems as though everyone is looking for a new climate leader. Some say it will be California (as the sixth largest economy in the world) with a strong commitment to reducing emissions and investing in renewables. California Governor Jerry Brown went to Bonn to show the world how California is leading. While compared to the rest of the U.S. California is a climate leader, it falls way short when it comes to keeping fossil fuels in the ground and promoting false solutions like carbon offsets and cap and trade. When called out about this by our indigenous and climate justice activist allies, who demanded he Keep Fossil Fuels in the Ground, Governor Brown said, "How about we leave you in the ground!" This response was not only defensive, it was culturally insensitive and outright wrong for a leader to say. If Governor Brown or other sub-national leaders want to truly show climate leadership, they need to get serious about the supply and demand of fossil fuels and stop promoting false solutions that protect the fossil fuel industry. Governor Brown has called for a global climate summit in California next September. That means he has nine months to show real climate leadership for California and the rest of the world. 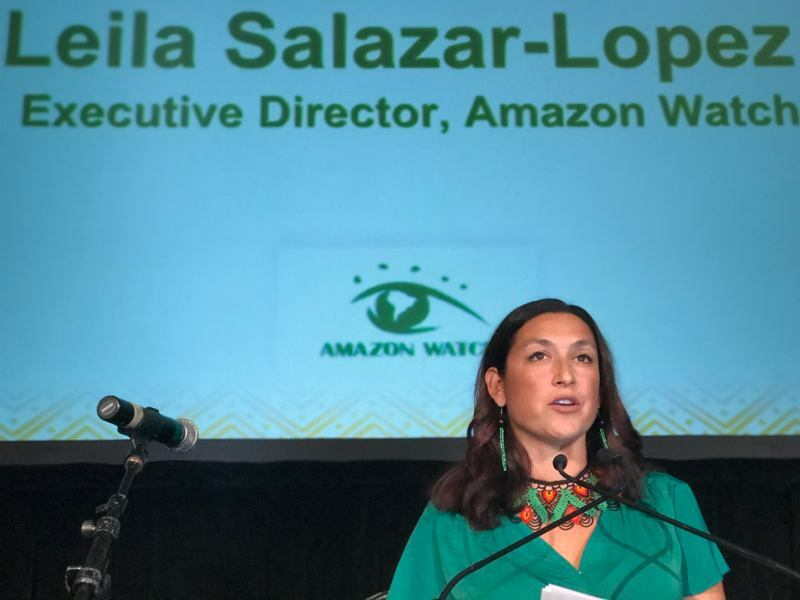 At Amazon Watch, we continue to stand with our indigenous and frontline climate justice allies in the north and south to ensure their critical voices are heard and solutions are implemented from Richmond, CA to Sarayaku, Ecuador. We will resist further destruction of the Amazon and campaign to End Amazon Crude; promote indigenous-led solutions and bring solar to the Amazon; and continue to build bridges of unity in the movement for climate justice. The Amazon, Mother Earth and future generations are depending on OUR climate leadership in the lead up to next year's Global Climate Summit in California and beyond. For Climate Justice!